This Form C-AR (including the cover page and all exhibits attached hereto, the “Form C- AR”) is being furnished by Three Little Stooges Productions LLC, a California Limited Liability Company (the “Company,” as well as references to “we,” “us,” or “our”) for the sole purpose of providing certain information about the Revenue Participation Rights offered by the Company pursuant to Regulation Crowdfunding under the Securities Act of 1933, as amended, for the fiscal year ended December 31, 2017. A copy of this report may be found on the company’s website at www.thethreelittlestooges.com. The Company raised $142,483.00 from investors in the offering of Securities described in the previously filed Form C and this Form C-AR (this “Offering”). The minimum amount of Securities that could be purchased was $100.00 per Purchaser (which could have been waived by the Company, in its sole and absolute discretion). The offer made was subject to modification, prior sale and withdrawal at any time. No federal or state securities commission or regulatory authority has passed upon the accuracy or adequacy of this document. No federal or state securities commission or regulatory authority has recommended or approved the securities. The U.S. Securities and Exchange Commission (“SEC”) does not pass upon the accuracy or completeness of any disclosure document or literature. The Company is filing this Form C-AR pursuant to Regulation CF (§ 227.100 et seq.) which requires that it must file a report with the Commission annually and post the report on its website at thethreelittlestooges.com no later than 120 days after the end of each fiscal year covered by the report. The Company may terminate its reporting obligations in the future in accordance with Rule 202(b) of Regulation CF (§ 227.202(b)) by 1) being required to file reports under Section 13(a) or Section 15(d) of the Exchange Act of 1934, as amended, 2) filing at least one annual report pursuant to Regulation CF and having fewer than 300 holders of record, 3) filing annual reports for three years pursuant to Regulation CF and having assets equal to or less than $10,000,000, 4) the repurchase of all the Securities sold in this Offering by the Company or another party, or 5) the liquidation or dissolution of the Company. This Form C-AR and any documents incorporated by reference herein or therein contain forward-looking statements and are subject to risks and uncertainties. All statements other than statements of historical fact or relating to present facts or current conditions included in this Form C-AR are forward-looking statements. Forward-looking statements give the Company’s current reasonable expectations and projections relating to its financial condition, results of operations, plans, objectives, future performance and business. You can identify forward-looking statements by the fact that they do not relate strictly to historical or current facts. These statements may include words such as “anticipate,” “estimate,” “expect,” “project,” “plan,” “intend,” “believe,” “may,” “should,” “can have,” “likely” and other words and terms of similar meaning in connection with any discussion of the timing or nature of future operating or financial performance or other events. The forward-looking statements contained in this Form C-AR and any documents incorporated by reference herein or therein are based on reasonable assumptions the Company has made in light of its industry experience, perceptions of historical trends, current conditions, expected future developments and other factors it believes are appropriate under the circumstances. As you read and consider this Form C-AR, you should understand that these statements are not guarantees of performance or results. They involve risks, uncertainties (many of which are beyond the Company’s control) and assumptions. Although the Company believes that these forward-looking statements are based on reasonable assumptions, you should be aware that many factors could affect its actual operating and financial performance and cause its performance to differ materially from the performance anticipated in the forward-looking statements. Should one or more of these risks or uncertainties materialize, or should any of these assumptions prove incorrect or change, the Company’s actual operating and financial performance may vary in material respects from the performance projected in these forward- looking statements. Any forward-looking statement made by the Company in this Form C-AR or any documents incorporated by reference herein or therein speaks only as of the date of this Form C-AR. Factors or events that could cause our actual operating and financial performance to differ may emerge from time to time, and it is not possible for the Company to predict all of them. The Company undertakes no obligation to update any forward-looking statement, whether as a result of new information, future developments or otherwise, except as may be required by law. You should rely only on the information contained in this Form C-AR. We have not authorized anyone to provide you with information different from that contained in this Form C-AR. We have sold Securities only in jurisdictions where offers and sales are permitted. You should assume that the information contained in this Form C-AR is accurate only as of the date of this Form C-AR, regardless of the time of delivery of this Form C-AR. Our business, financial condition, results of operations, and prospects may have changed since that date. Statements contained herein as to the content of any agreements or other document are summaries and, therefore, are necessarily selective and incomplete and are qualified in their entirety by the actual agreements or other documents. Three Little Stooges Productions LLC (the “Company”) is a California Limited Liability Company, formed on May 12, 2016, by C3 Entertainment, Inc. (“C3 Entertainment”), the owner of The Three Stooges brand and related intellectual property. The Company’s principal office is located at 1415 Gardena Ave., Glendale, CA 91204. The Company’s website is www.thethreelittlestooges.com. The information available on or through our website is not a part of this Form C-AR. The address of counsel to the issuer for copies of notices is BEVILACQUA PLLC, 1050 Connecticut Avenue, NW, Suite 500, Washington, DC 20036, Attention: Louis A. Bevilacqua, Esq. 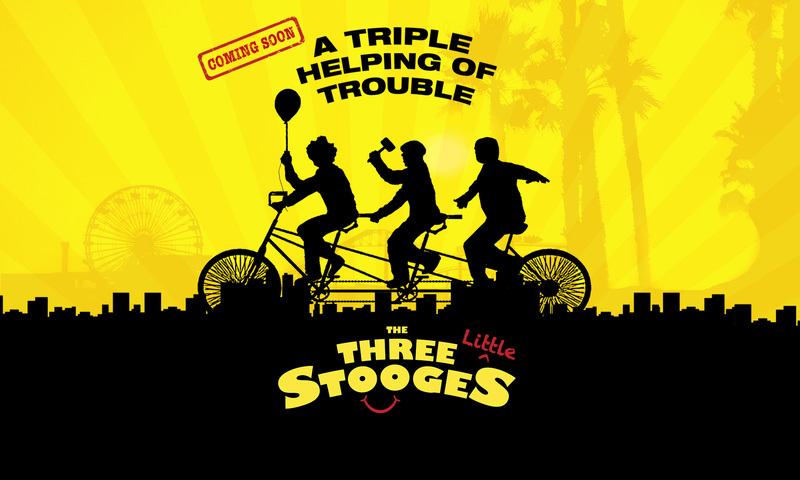 Three Little Stooges Productions LLC was formed by C3 Entertainment on May 12, 2016 for the sole purpose of developing, producing, marketing, distributing and managing an all new motion picture based upon the Three Stooges characters as young people. C3 Entertainment was originally formed in 1959 by The Three Stooges to manage the worldwide rights of The Three Stooges brand. We have acquired from C3 Entertainment the exclusive license to produce, market, and distribute the next The Three Stooges movie following the 2012 release of The Three Stooges movie by 20th Century Fox Studios. We originally estimated that the film required a production budget of approximately $5.8 million, however, we have made some changes that are considered “reasonable” in the movie industry and now estimate that the film will require a production budget of approximately $2 million. The entertainment industry continues to undergo changes as the trend to digital content and distribution continues to evolve generally resulting in lower budgets for film production. Technological advances have also contributed to changes in the industry that allow films to be produced more economically for less money. The benefit of a lower budget is less money for the Producers to raise, less interest to pay out, and less money to pay back to reach profitability. In order to accommodate a lower budget to produce the film, certain changes in the title, story and cast were necessary while still maintaining a Three Stooges movie. The Investors are fully invested in the film according to the same investment terms as the original offering for the film. Although we originally planned to begin production of the all new Three Little Stooges movie in the fall of 2017 and release the new film for worldwide marketing and distribution in 2018, our timeline has changed. The producers intend to commence production of the revised film in the summer of 2018. After considering all the factors involved with the production of the new film, and consulting with other experienced producers involved in producing motion pictures similar to this film, we originally carved out a production budget for The Three Little Stooges movie of $5.8 million. This was an approximate number based on our best estimate of costs and expenses for approximately thirty days of production on the new film. However, we have made some changes as indicated and now estimate that the film will require a production budget of approximately $2 million. we will commence plans to produce the movie as we move forward with finalizing casting and crew. We expect to commence production in the summer of 2018. Any additional funding required to meet the film budget will come from loans, deferment of certain costs and expenses, and money resulting from tax credits and benefits secured from the film’s production location. Additional equity funding may also be raised if necessary and feasible, including through the sale of additional Revenue Participation Rights. There can be no assurance that the Company will be able to raise these additional funds on acceptable terms, if at all. With production of the new film expected to be completed in the summer of 2018, we will proceed with post production editing and assembly of the movie in order to release the motion picture for worldwide marketing and distribution at an optimum date in 2018. We are not subject to any material governmental regulations. We are not a party to any litigation. C3 Entertainment is a premier entertainment and media company engaged in motion picture, television, digital, and home entertainment production and worldwide distribution, as well as licensing and brand management of world-famous classic brands and personalities. C3 Entertainment is The Three Stooges brand owner. It most recently produced The Three Stooges Movie (2012) released by 20th Century Fox Studios, The Three Stooges 75th Anniversary Special (2007) for NBC, and The Three Stooges (2003) biopic for ABC. Upcoming Three Stooges projects include an animated series and follow-up to the 2012 feature film. If the film is produced, C3 Entertainment will receive license fees, reimbursement of development and script costs, and will serve as Producer of the film for a producer fee consistent with industry standards, which is generally in the range of 3-5% of the production budget. The directors or managers of the managing entity are listed below along with all positions and offices held at the managing entity and their principal occupation and employment responsibilities for the past three (3) years and their educational background and qualifications. The Company is managed by its sole member, C3 Entertainment. All positions and offices held with the Company and date such position(s) was held with start and ending dates: President and CEO of C3 Entertainment and responsible for the management of the Company since its formation on May 16, 2016. Mr. Benjamin oversees all operations of the Company. At the present time, there are no other directors, officers or employees of the Company. Education: Ohio University, B.A. University of San Diego, School of Law. J.D. Member of the California State Bar. The Company is managed by its sole member, C3 Entertainment. Mr. Earl Benjamin is President and Chief Executive Officer of C3 Entertainment. Indemnification is authorized by the Company to directors, officers or controlling persons acting in their professional capacity pursuant to California law. Indemnification includes expenses such as attorney’s fees and, in certain circumstances, judgments, fines and settlement amounts actually paid or incurred in connection with actual or threatened actions, suits or proceedings involving such person, except in certain circumstances where a person is adjudged to be guilty of gross negligence or willful misconduct, unless a court of competent jurisdiction determines that such indemnification is fair and reasonable under the circumstances. Chief Executive Officer of C3 Entertainment, the Company’s managing member. addition, the entertainment business involves certain inherit risks associated with the release of motion pictures. Motion pictures are an art form and the creative process is an intangible that cannot be measured. Success of any new film is dependent on the audience’s responsiveness to the film which may be unknown until the film is actually produced. Distribution, marketing and timing of release are important to the success of any new film, as well as outside factors and events that may be unknown or unpredictable, such as other competing entertainment products, world events or natural disasters. The Company, therefore, cannot guarantee any success of the motion picture, and cannot warrant any return of investment or that any profits from the film will ever be realized. The Company has no business aside from producing, marketing and distributing the new film, and we rely on external financing to undertake these tasks. The Company was formed solely for the purpose of producing, marketing and distributing a new film based upon the Three Stooges characters. The completion of this film is a precondition to our generation of any revenues. While we intend to generate revenue in the future from the movie, we cannot assure you when or if we will be able to do so. The Company relies entirely on external financing to produce the new film, and has no means to generate revenue until the new film is completed, released for distribution, and thereafter generates revenues. We anticipate, based on our current proposed production budget and distribution plans that, if the Maximum Amount is raised in this Offering, it should be sufficient to satisfy our contemplated cash requirements, assuming we are able to obtain additional debt financing to meet the requirements of the production budget, and that we do not otherwise face unexpected events, costs or contingencies, any of which could affect our cash requirements. However, we may have difficulty obtaining additional funding and we cannot assure you that additional capital will be available to us when needed, if at all, or if available, will be obtained on terms acceptable to us. If we raise additional funds through debt financing, such debt instruments may provide for rights, preferences or privileges senior to the Securities in this Offering. In addition, the terms of the debt instruments could impose significant restrictions on our operations. If we raise additional funds through collaborations and licensing arrangements, we might be required to relinquish significant rights, or grant licenses on terms that are not favorable to us. If adequate funds are unavailable, we may be required to delay, reduce the scope of or cease production, marketing or distribution of the new film. Under these circumstances, if the Company is unable to acquire additional capital or is required to raise it on terms that are less satisfactory than desired, it may have a material adverse effect on the Company and our ability to complete and generate revenues from our new film. The development and commercialization of motion pictures is highly competitive. We face competition with respect to any motion picture that we may seek to develop or distribute. Our competitors include major studios and producers worldwide. Many of our competitors have significantly greater financial, technical and human resources than we have and may possess superior expertise in producing, marketing and distributing motion pictures and thus may be better equipped than us to commercialize and exploit motion pictures. These competitors also compete with us in recruiting and retaining qualified personnel and acquiring technologies, as well as finding talent for cast and crew. Accordingly, our competitors may commercialize motion pictures more rapidly or effectively than we are able to, which could adversely affect our competitive position, the likelihood that our new motion picture will achieve market acceptance or our ability to generate revenues from this new film. increased excess capacity as a result. An increase in excess capacity may result in decline of revenues generated from our new film. Our new movie’s success depends on the performance, experience and skill of our producers, writers, directors, cast and crew. The Company intends to locate and retain the best available people that are affordable within the confines of the production budget for our new film. The unexpected loss of personnel in production of the new film can never be expected or predicted, but such events could adversely impact the production, marketing or distribution of the new film. We expect that our feature film will be distributed worldwide. We expect that our future operations will be subject to the effects of global competition and geopolitical risks. They may also be affected by local economic environments, including inflation, recession, currency volatility and actual or anticipated default on sovereign debt. Political changes, some of which may be disruptive, can interfere with the release of our film in foreign markets in the future. While some of these global economic and political risks can be avoided, such attempts to mitigate these risks can be costly and not always successful, and our ability to engage in such mitigation may decrease or become even more costly as a result of more volatile market conditions. The new film relies on various intellectual property rights, including trademarks, copyrights, and licenses. Such intellectual property rights, however, may not be sufficiently broad or otherwise may not provide us a significant competitive advantage. In addition, the steps that we have taken to maintain and protect our intellectual property may not prevent it from being challenged, invalidated, circumvented or designed-around, particularly in countries where intellectual property rights are not highly developed or protected. In some circumstances, enforcement may not be available to us because an infringer has a dominant intellectual property position or for other business reasons, or countries may require compulsory licensing of our intellectual property. Failure to obtain or maintain intellectual property rights that convey competitive advantage, adequately protect our intellectual property or detect or prevent circumvention or unauthorized use of such property, could adversely impact our competitive position and financial results of the new film. Any dispute or litigation regarding intellectual property involving the new film could be costly and time-consuming due to the complexity of the law in this area, the uncertainty of intellectual property litigation, and could divert the Company and key personnel from our business operations. A claim of intellectual property infringement could force us to enter into a costly or restrictive license agreement, which might not be available under acceptable terms or at all, could require us to make changes in the new film, which would be costly and time-consuming, and/or could subject us to an injunction against development, marketing and distribution of the new film. We may have to pay substantial damages; including damages for past infringement if it is ultimately determined that our new film infringes a third party’s proprietary rights. Even if these claims are without merit, defending a lawsuit takes significant time, may be expensive and may divert our attention from other business concerns involving the new movie. Any public announcements related to litigation or interference proceedings initiated or threatened against as could cause the new film to be harmed. We also rely on nondisclosure and noncompetition agreements with employees, consultants and other parties to protect, in part, trade secrets and other proprietary rights. There can be no assurance that these agreements will adequately protect our trade secrets and other proprietary rights and will not be breached, that we will have adequate remedies for any breach, that others will not independently develop substantially equivalent proprietary information or that third parties will not otherwise gain access to our trade secrets or other proprietary rights. intellectual property poses significant challenges for us. Technological developments, such as the proliferation of cloud-based storage and streaming, increased broadband Internet speed and penetration and increased speed of mobile data transmission have made it easier to create, transmit, distribute and store high quality unauthorized copies of content in unprotected digital formats, which has in turn encouraged the creation of highly scalable businesses that facilitate, and in many instances financially benefit from, such piracy. Piracy is particularly prevalent in many parts of the world that lack effective copyright and technical legal protections or enforcement measures, and illegitimate operators based in these parts of the world can attract viewers from anywhere in the world. The proliferation of unauthorized copies and piracy of the Company’s content, products and intellectual property or the products it licenses from others could result in a reduction of the revenues that the Company receives from the legitimate sale, licensing and distribution of the film. The Company devotes substantial resources to protecting its content, products and intellectual property, but there can be no assurance that the Company’s efforts to enforce its rights and combat piracy will be successful. Changes in government regulation and unions could adversely impact our business. The cable/media/television/internet/entertainment industry is subject to extensive legislation and regulation at the federal and local levels and, in some instances, at the state level. Additionally, various guilds and unions such as the Screen Actors Guild, or SAG, the Directors Guild, or DGS, and the Writers Guild, or WGA, dictate the manner in which we deal with members of such guilds or unions. Our new film is also subject to regulation, and additional regulation is under consideration. Many aspects of such regulation are currently the subject of judicial and administrative proceedings, legislative and administrative proposals, and lobbying efforts by our competitors. Legislation under consideration could entirely rewrite the principal regulatory statutes, and the FCC and/or Congress may attempt to change the classification of motion pictures, the way that motion pictures are regulated and/or the framework under which broadcast signals are carried, remove the copyright compulsory license and, thus, change the rights and obligations of our competitors. In addition, the guilds and unions that we work with are frequently changing the rules and requirements that we must comply with in the motion picture industry. We expect that court actions and regulatory proceedings will continue to refine our rights and obligations under applicable federal, state and local laws. Changes in law, regulations, and union rules cannot be predicted. Modifications to existing requirements or imposition of new requirements or limitations could have an adverse impact on our ability to produce, distribute and generate revenues from our new film. revenue we are able to generate from our traditional distribution methods by decreasing the viewership of our film in theaters and other traditional venues. If we fail to adapt our distribution methods and content to emerging technologies, our appeal to our targeted audiences might decline and there could be a materially adverse effect on our business and the new film. We face risks relating to competition for the leisure time and discretionary spending of audiences, which has intensified in part due to advances in technology and changes in consumer expectations and behavior. Our business is subject to risks relating to increasing competition for the leisure time and discretionary spending of consumers. We compete with all other sources of entertainment and information delivery. Technological advancements, such as new video formats and Internet streaming and downloading of programming that can be viewed on televisions, computers and mobile devices have increased the number of entertainment and information delivery choices available to consumers and intensified the challenges posed by audience fragmentation. The increasing number of choices available to audiences, including low-cost or free choices, could negatively impact not only consumer demand for our products and services, but also advertisers’ willingness to purchase advertising to support our new film. Our failure to effectively anticipate or adapt to new technologies and changes in consumer expectations and behavior could significantly adversely affect our competitive position, our business and the financial results of our new film. Our success depends on consumer acceptance of our new film and we may be adversely affected if our movie fails to achieve sufficient consumer acceptance or the costs to create or acquire content increase. We are creating a new feature film. The success of this film depends substantially on consumer tastes and preferences that change in often unpredictable ways. Although we expect to capitalize on the historical success and brand recognition of and love for The Three Stooges, the success of the film will depend on our ability to create, acquire, market and distribute content that meets the changing preferences of the broad domestic and international consumer market. The Revenue Participation Rights do not entitle the Purchasers to a share in any Company revenue other than revenue generated by The Three Little Stooges feature film. If the film fails for any reason, is never produced or is abandoned, the Purchasers will not receive any return on their investment and will lose all of their investment amount. This is true even if the Company successfully produces and distributes other films or obtains revenues from other sources since the Revenue Participation Rights only provide a right to share in the revenues of the new film based upon the Three Stooges characters. Accordingly, investors should be aware that their investment is not diversified and totally dependent upon the success of a single film. additional investor funds may be needed and your percentage of revenue share could be significantly diluted. The Revenue Participation Rights will not be freely tradable until one year from the initial purchase date. Although the Revenue Participation Rights may be tradeable under federal securities law, state securities regulations may apply and each Purchaser should consult with his or her attorney. You should be aware of the long-term nature of this investment. There is not now and likely will not be a public market for the Revenue Participation Rights. Because the Revenue Participation Rights have not been registered under the Securities Act or under the securities laws of any state or non-United States jurisdiction, the Revenue Participation Rights have transfer restrictions and cannot be resold in the United States except pursuant to Rule 501 of Regulation CF. It is not currently contemplated that registration under the Securities Act or other securities laws will be affected. Limitations on the transfer of the Securities may also adversely affect the price that you might be able to obtain for the Securities in a private sale. Purchasers should be aware of the long-term nature of their investment in the motion picture. Each Purchaser in this Offering will be required to represent that it is purchasing the Securities for its own account, for investment purposes and not with a view to resale or distribution thereof. Neither the Offering nor the Securities have been registered under federal or state securities laws, leading to an absence of certain regulation applicable to the Company. No governmental agency has reviewed or passed upon this Offering, the Company or any Securities of the Company. The Company also has relied on exemptions from securities registration requirements under applicable state securities laws. Investors in the Company, therefore, will not receive any of the benefits that such registration would otherwise provide. Prospective investors must therefore assess the adequacy of disclosure and the fairness of the terms of this Offering on their own or in conjunction with their personal advisors. No Guarantee of Return on Investment. There is no assurance that a Purchaser will realize a return on its investment or that it will not lose its entire investment. For this reason, each Purchaser should read the previously filed Form C and all Exhibits carefully and should consult with its own attorney and business advisor prior to making any investment decision. There is no present market for the Securities and we have arbitrarily set the price. We have arbitrarily set the price of the Securities with reference to the general status of the securities market and other relevant factors. The Offering price for the Securities should not be considered an indication of the actual value of the Securities and is not based on our net worth or prior earnings. We cannot assure you that the Securities could be resold by you at the Offering price or at any other price. In addition to the risks listed above, businesses are often subject to risks not foreseen or fully appreciated by the management. It is not possible to foresee all risks that may affect us. Moreover, the Company cannot predict whether the Company will successfully effectuate the Company’s current business plan. The Offering closed on September 18, 2017 and the Company raised $142,483.00. The gross proceeds were $154,283.00. A 7% fee of $10,800.00 and an escrow fee of $1,000.00 was paid to First Democracy VC, LLC. C3 Entertainment, which owns 100% of Three Little Stooges Productions LLC, has complete power and authority to manage and operate the Company and make all decisions affecting its business and affairs. The Revenue Participation Rights are contractual rights and do not provide the holders of such rights with any right to vote or engage in the affairs of the Company. Accordingly, holders of the membership interests are the only persons entitled to vote or participate in any way in the business and affairs of the Company. Percentage ownership of the company by the holders of such Securities (assuming conversion prior to the Offering if convertible securities). The Company has the following debt outstanding: $197,096.00 payable to C3 Entertainment, Inc. This Offering is for Revenue Participation Rights in a new film based on the Three Stooges characters, and there is no value ascribed to the Revenue Participation Rights in this Offering. The Company is owned and controlled by its managing member. The managing member is C3 Entertainment which is owned and controlled by its shareholders. securities, calculated on the basis of voting power, are listed along with the amount they own. Revenue Participation Rights entitle the Purchasers to participate in a share of the revenues from the new film. The Purchasers are not acquiring membership interests or other equity interests in the Company and will not own any percentage of the Company following the Offering. Please see the financial information listed on the cover page of this Form C-AR and attached hereto in addition to the following information. Financial statements are attached hereto as Exhibit A. We have not commenced production of our new film, and therefore we have not yet commenced operations or generated any revenues, earnings or cash flow. Film production is expected to begin in the summer of 2018 and the film is expected to be released in 2018. The Company does not expect to achieve profitability with the new film before it is released for distribution. Management expects to execute the strategies enumerated in this Offering statement. The Company does not currently require any material amount of capital to sustain operations. The Company raised $142,483.00 from Purchasers in the offering of Securities. The $142,483.00 raised in the Offering will be necessary for the Company to commence production of the new film, and thereafter for marketing and distribution of the new film. However, the proceeds of the Offering will not be enough to complete production, marketing and distribution of the new film. The Company will reimburse C3 Entertainment, Inc. for development and script costs. The Company will require additional financing in excess of the proceeds from the Offering in order to meet the budget for production of its new film, and thereafter for marketing and distribution of the new film. The Company in its sole discretion will explore all options to complete the financing for the new film, including but not limited to debt financing, tax incentives for production services in certain locations, deferments of certain costs and production expenses, and additional equity financing. There can be no assurance that the Company will be able to raise these additional funds on acceptable terms, if at all. The Company will commence funding the production of the movie pursuant to the production budget only if financing for the movie is completed. The entertainment business and the production of motion pictures are an art form involving creative elements that contain inherent risks that are often unpredictable and uncertain. Industry Highlights: The entertainment industry continues to undergo changes as the trend to digital content and distribution continues to evolve generally resulting in lower budgets for film production. Technological advances have also contributed to changes in the industry that allow films to be produced more economically for less money. Motion Picture Financing: The benefit of a lower budget is less money for the Producers to raise, less interest to pay out, and less money to pay back to reach profitability. In order to accommodate a lower budget to produce the film, certain changes in the story and cast were necessary while still maintaining a Three Stooges movie. Production Summer 2018: The Producers intend to commence production of the film in the summer of 2018. The financial statements are an important part of this Form C-AR and should be reviewed in their entirety. The financial statements of the Company are attached hereto as Exhibit A. Below is a summary of your potential return on Revenue Participation Rights purchased in this Offering for your convenience only, and should not be relied on. For more precise and exact description of these rights, you should refer to the specific language set forth in the Financing Agreement included with the previously filed Form C as Exhibit C.
The only securities that are outstanding are our membership interests and the Revenue Participation Rights sold in the Offering. The Revenue Participation Rights are being created through the entry by the Purchaser and the Company into a Financing Agreement. Under the Financing Agreement, the Purchaser is agreeing to provide funds to the Company for the purpose of producing, completing and delivering the motion picture based upon the Three Stooges characters, which will be produced by the Company. Pursuant to the Financing Agreement, the Company agrees to be responsible for securing the remainder of the budget for the Picture from additional equity financing contributions (the “Additional Equity Funds”) and other sources (e.g., crowdfunding revenues, loans, etc.) (together, the “Additional Funds”) from third party equity financiers (the “Additional Equity Financiers”) and other sources (together, the “Additional Financiers”). fifty percent (50%) to the Purchasers and the Additional Equity Financiers on a pro rata (based on the ratio that their respective financing contributions bears to the aggregate of the Purchasers’ financing contributions, the Additional Equity Funds and the Filmmaker Funds (as defined below)) and pari passu basis. Additional Financiers) shall be borne out of Producer’s share of Net Proceeds. Tax credits or other tax incentives received in connection with the production of the Picture shall be included in Gross Proceeds only to the extent not used to repay financiers providing financing secured by such tax credits or incentives or used to directly fund production costs of the Picture. Any reasonable reserve amounts, as determined by Producer in its good faith business judgment, required to cover anticipated future costs or liabilities, provided that such reserve amounts shall be liquidated every twelve (12) months. The Company does not make any representation or warranty in the Financing Agreement as to the amount of Gross Proceeds, if any, the Company will receive from the exploitation of the Picture. The Purchasers are only entitled to a return on their investment from the revenues of the Picture. They will not be entitled to any return on their investment from other revenues generated by the Company. Specifically, the Purchasers will not be entitled to any share in the revenue of any other business of the Company, including but not limited to other motion pictures which may or may not be related to the Picture produced and distributed or licensed by the Company. The Purchasers are hereby informed that (i) there can be no assurance that any Additional Funds will be obtained; (ii) there can be no assurance that the Picture will be completed or that if completed that the Picture will be released or distributed; (iii) there can be no assurance that the Picture will generate any revenues (including without limitation Gross Proceeds) or that any such revenues will be sufficient to return to the Purchasers all or any part of the Purchaser financing contributions; (iv) investments in the motion picture industry involve a high degree of risk, including the risks set forth on the Risk Factors section above. The Securities do not grant you any ownership rights in the motion picture. Instead, Revenue Participation Rights grant you certain rights to participate in revenues generated from the distribution and sale of the new film. The Securities have no voting rights. The Company does not have any voting agreements in place. The Company does not have any shareholder/equity holder agreements in place. Anti-Dilution Rights: The Securities do not have anti-dilution rights. Any Securities purchased pursuant to Regulation CF, including the Securities being offered in the Offering, may not be transferred by any Purchaser of such Securities during the one-year holding period beginning when the Securities were issued, unless such Securities were transferred: 1) to the Company, 2) to an accredited investor, as defined by Rule 501(d) of Regulation D of the Securities Act of 1933, as amended, 3) as part of an Offering registered with the Securities and Exchange Commission or 4) to a member of the family of the Purchaser or the equivalent, to a trust controlled by the Purchaser, to a trust created for the benefit of a family member of the Purchaser or the equivalent, or in connection with the death or divorce of the Purchaser or other similar circumstances. “Member of the family” as used herein means a child, stepchild, grandchild, parent, stepparent, grandparent, spouse or spousal equivalent, sibling, mother/father/daughter/son/sister/brother-in-law, and includes adoptive relationships. Remember that although you may legally be able to transfer the Securities, you may not be able to find another party willing to purchase them. Other Material Terms: The Company does not have the right to repurchase the Revenue Participation Rights. From time to time the Company may engage in transactions with related persons. Related persons are defined as any director or officer of the Company; any person who is the beneficial owner of 10 percent or more of the Company’s outstanding voting equity securities, calculated on the basis of voting power; any promoter of the Company; any immediate family member of any of the foregoing persons or an entity controlled by any such person or persons. The Company is licensed to use The Three Stooges brand and trademarks in order to make the movie, obtains the rights to the copyrighted script entitled The Three Little Stooges, and utilize the producer services of C3 Entertainment. C3 Entertainment License Agreement to produce a new movie based upon The Three Stooges characters. C3 Entertainment licenses to the Company the rights and interest to make, market and distribute the movie. C3 Entertainment retains ownership in the characters of The Three Stooges. The Company has not failed to comply with the ongoing reporting requirements of Regulation CF § 227.202 in the past. Pursuant to the requirements of Sections 4(a)(6) and 4A of the Securities Act of 1933 and Regulation Crowdfunding (§ 227.100 et seq. ), the issuer certifies that it has reasonable grounds to believe that it meets all of the requirements for filing on Form C-AR and has duly caused this Form to be signed on its behalf by the duly authorized undersigned. Pursuant to the requirements of Sections 4(a)(6) and 4A of the Securities Act of 1933 and Regulation Crowdfunding (§ 227.100 et seq. ), this Form C-AR has been signed by the following persons in the capacities and on the dates indicated.